On Paul’s travels he found and photographed more than 20 C2s, including two in steam at tourist railways. He also visited several industrial railways which had once been operated by C2s, but now use diesel or electric traction. There are many more C2s still in China, mostly on static display. Paul is now researching the locations of some more, planning a future trip. There are also two or three more tourist operations to visit. Paul was able to copy some historical documents that are immensely useful for our historical research. 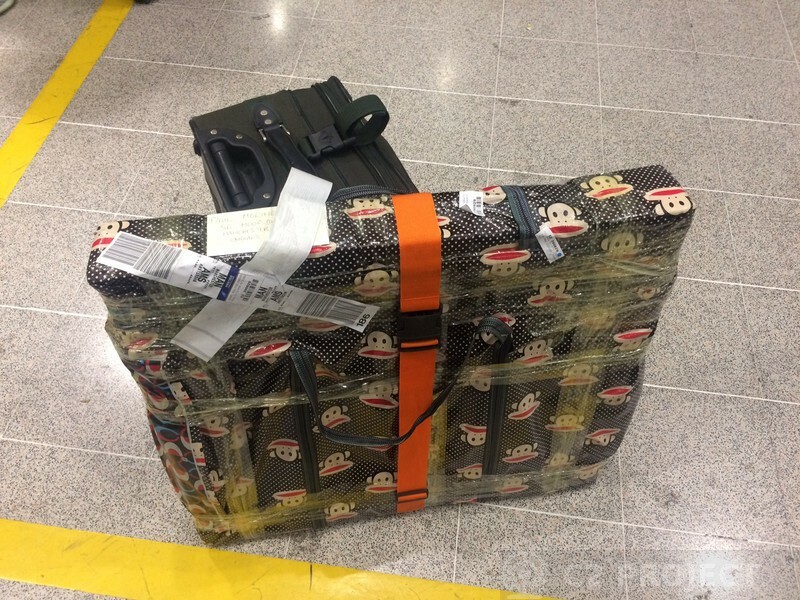 He also bought some spare parts and was able to carry them home on the plane! Here is a roll-call of the C2s that Paul saw, and a few other related photos. The trip started in Sichuan Province towards the South-West of China, including visits to the locations of two closed railways with surviving C2s, and several active coal mine railways. 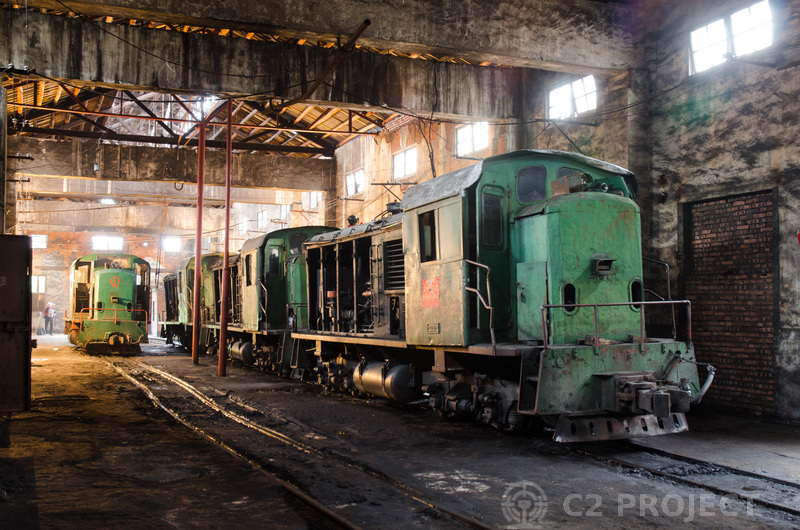 Lurking in a locked shed at Rongshan were three C2s; we were able to identify these as 210, 211 and 218. On Paul's last visit in 2014, the railway was still operating and he was able to get inside this shed. 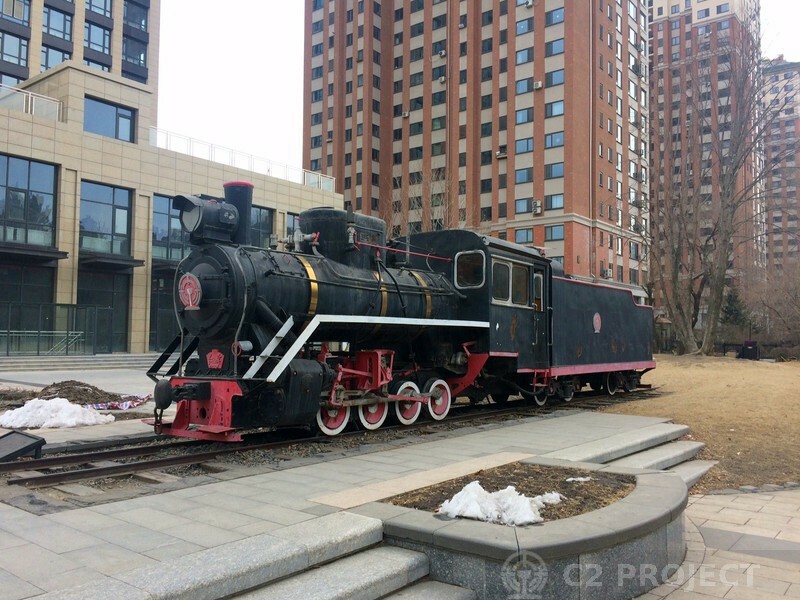 This loco numbered ZM16-4 62-70 worked on the Pengzhou local railway in Sichuan Province, and is now plinthed in the town of Pengzhou. It carries Shijiazhuang worksplates stamped K69-27, but 1969 may be a rebuild date rather than new build. 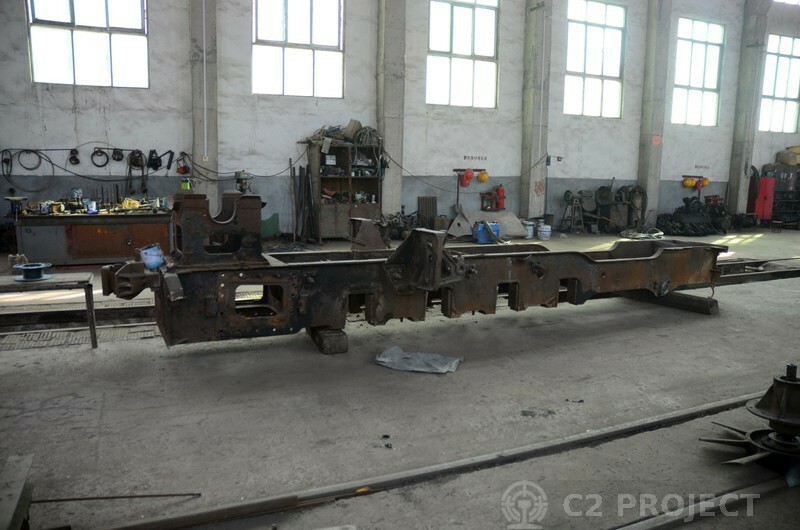 As with all the 28t locos that worked at Pengzhou, it has been modified with air brakes and a front extension to the frame, together with a slope-back bogie tender. A view of the tender of the third loco in the shed at Rongshan. The big surprise was that only three C2s were present; the last operational loco number 219 was missing! The YongRong Railway is centred on the town of Honglu near Yongchuan. A busy operation connecting coal mines, a washery and an interchange with China Rail, the line is electrified with a fleet of six B-B locos of which 3 or 4 are used each day. It mostly runs through rural countryside, as seen here. Until the 1990s, the line was steam-operated by a fleet of C2s. Paul's trip then moved on to Hunan Province, to visit several more active mine railways including the Matian coal railway, north of Chenzhou. It's early morning inside the loco shed at Matian, and the drivers are preparing two of the diesels. This shed would once have been full of C2s. 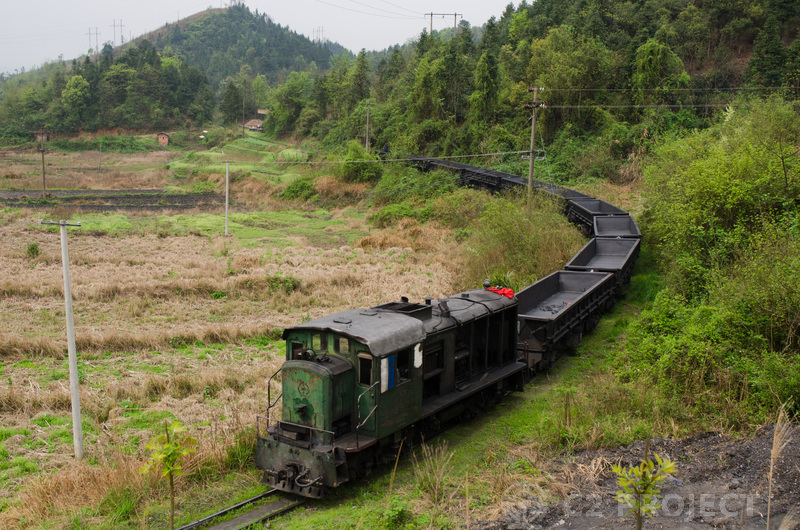 The coal railway at Matian in Hunan Province is now operated by Shijiazhuang-built JMY380 'Taihang 51' diesel-hydraulics, and is very run-down. When built in the early 1960s it served many more mines, operated passenger services, and used steam locos like our C2. Here a train of empties growls through the attractive countryside hauled by a loco so shabby that it doesn't even have a number! In Henan Province in central China, there is a developing tourist railway. Located about 40km from the huge city of Zhengzhou, and only 10km from the Shaolin temple made famous by several martial arts films, this seems a great place for a tourist railway. 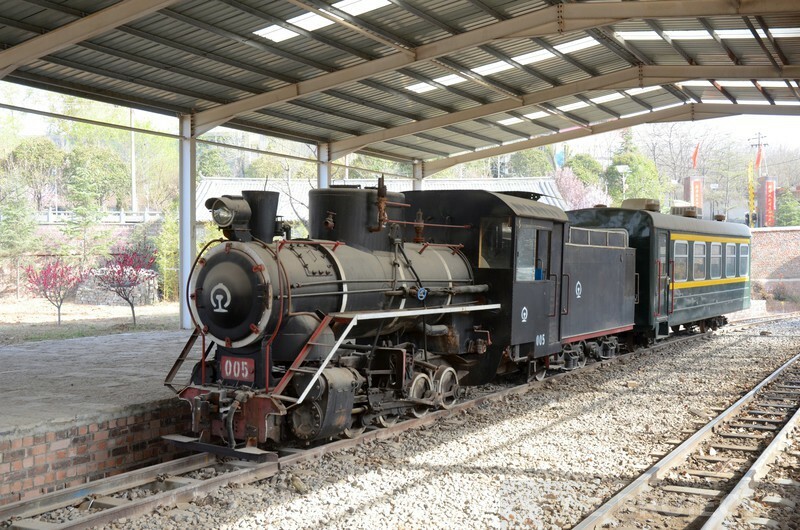 It is on the trackbed of the former Xinzheng provincial railway, and locos have been sourced from several closed narrow-gauge railways in Henan Province including Xuchang, Yinghao and Xinzheng. Over the past few years, a lot of money has been invested in new facilities, loco overhauls and trackwork. The railway is now functional over a distance of 21km, with the prospect of extending further. However, there are no regular services; charters are possible with advance notice but the cost is prohibitive for small groups. Hopefully the railway will work out a more sensible business model in due course. Some of the restored steam locos have very curious modifications including diesel generators and compressors, electric feed pumps, and corrugated firebox sides. 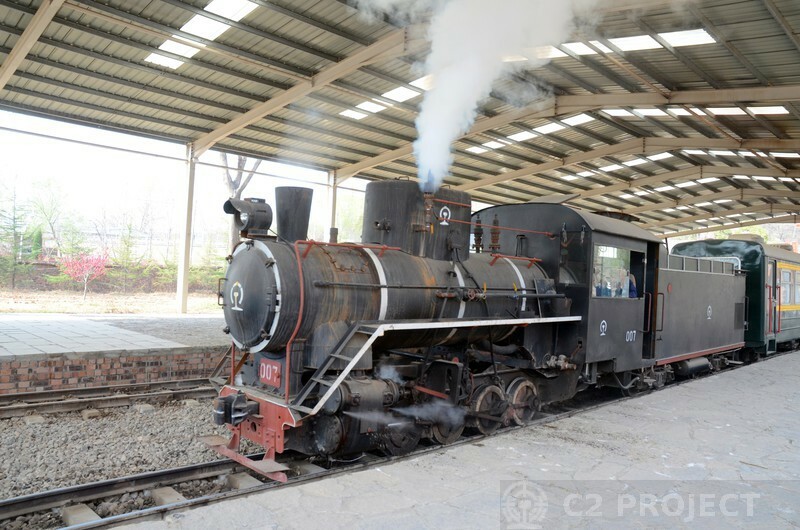 There are seven restored C2s at Yujian, and number 007 was in steam when we visited. This was a stroke of luck, as we hadn't been able to afford a charter of our own! 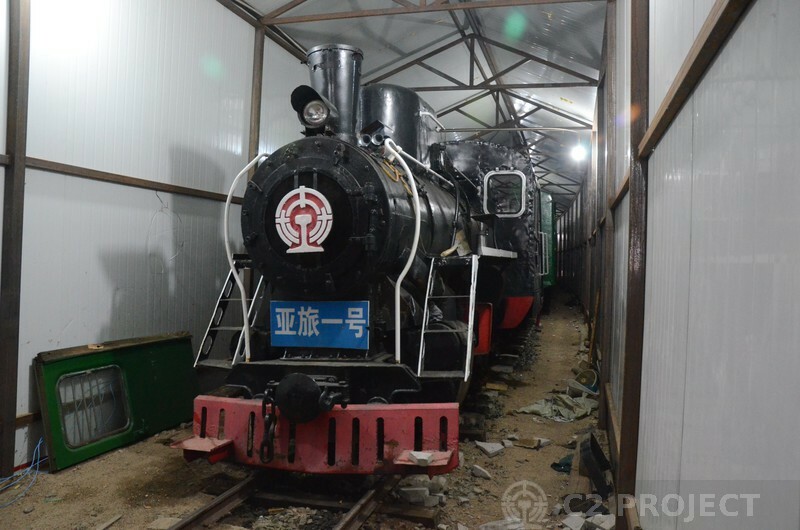 Yujian 005 was also under the train shed at Chaoyanggou station, fit for service but not in steam. These locos have been heavily modified. 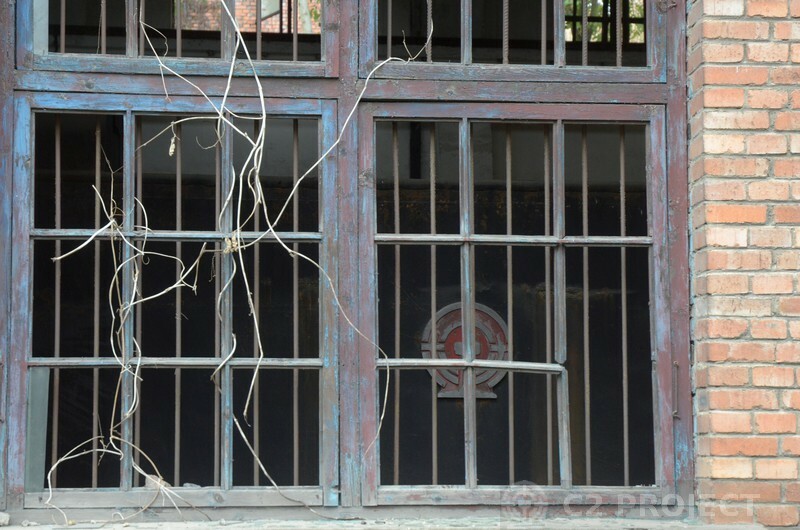 A set of C2 frames in the workshop at Yujian. Will this eventually be 008? Anyone looking for a project? 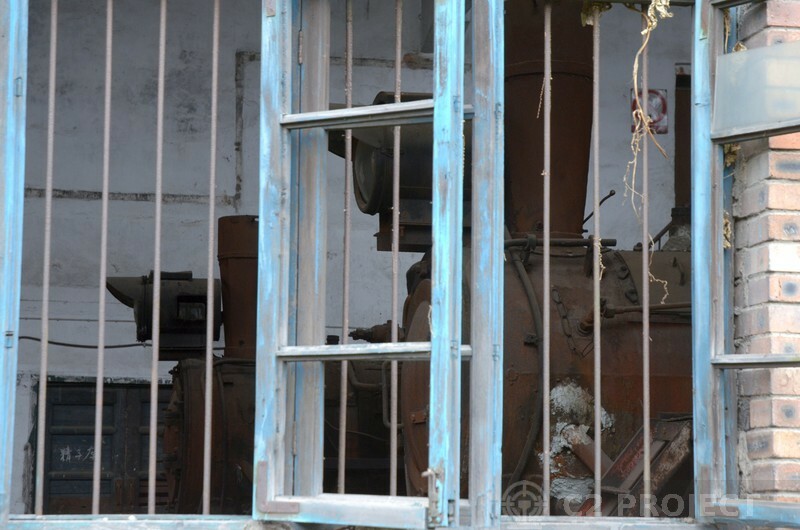 There are dozens of wrecks of 380hp diesels at Yujian, representing several different classes and manufacturers. A permanent way works train on the Yujian line pauses for lunch-break. The locos are Shijiazhuang JMY380 diesels of the Taihang 52 type, very similar under the bonnet to those at Matian, but with an entirely different bodyshell. Paul then headed North-East to the home of the C2, Harbin and Heilongjiang Province. He separated from the rest of the tour group for a few days, on a whistle-stop trip to find as many plinthed C2s as possible. 10 in three days was pretty good going. Harbin is the capital of Heilongjiang Province, and of course home to the factory where over 200 C2s were built. Fittingly a C2 is preserved in a park to the west of the city centre. 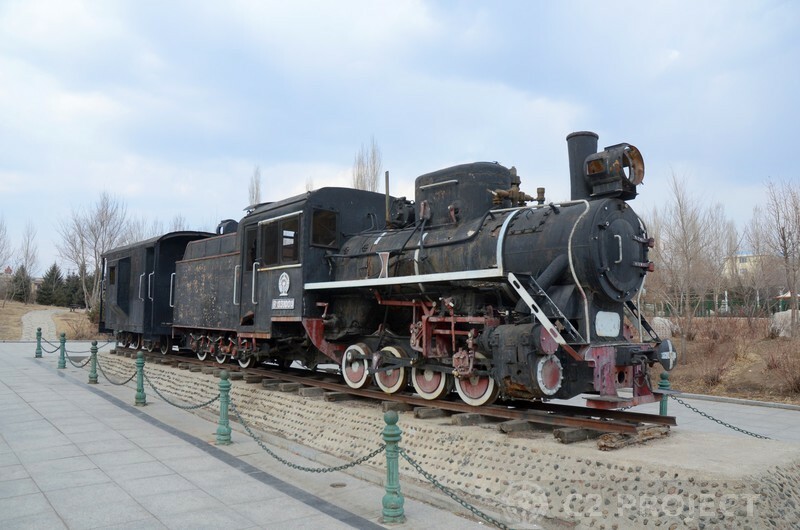 This is a Harbin-built loco that worked at Zhanhe forestry railway. 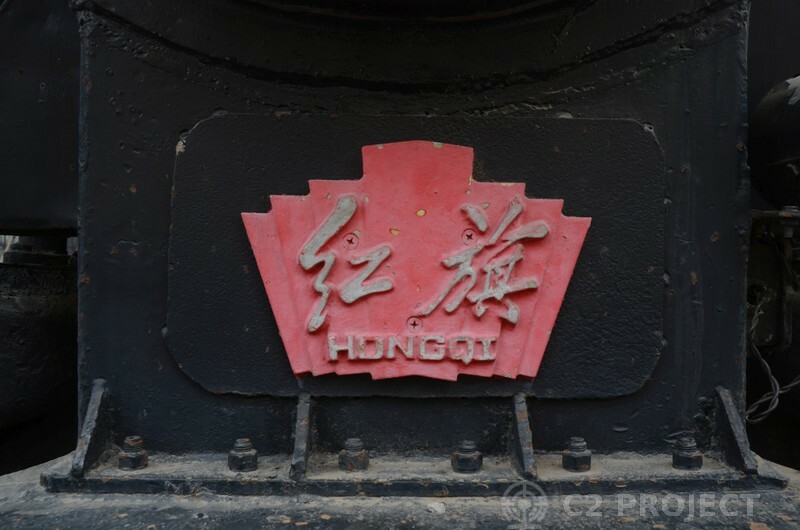 The loco at Harbin carries a cast 'Hongqi' (red flag) plate, which was the brand name used by Harbin for their C2 production. These plates appear in some of the earliest C2 photos we have. We hope to make some replicas for sale. 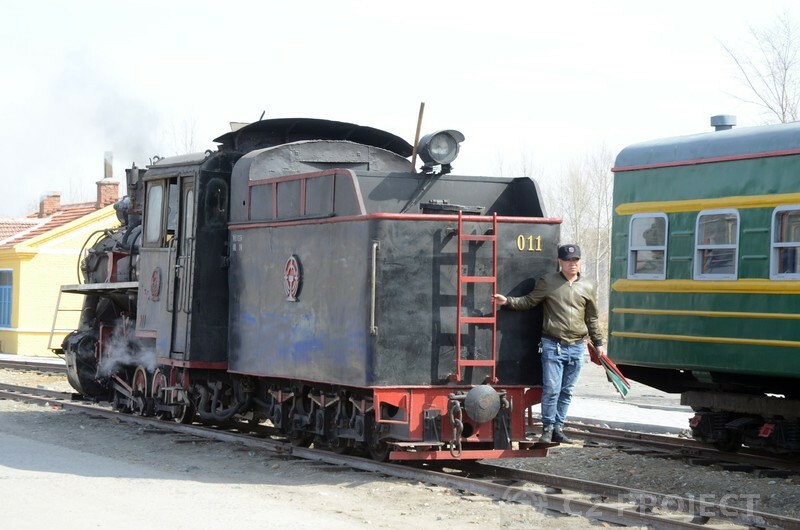 In the forestry town of Shanhetun, one of their former locos B*031009 is displayed with a caboose. This appears to be an early Shijiazhuang-built loco. Paul was met by dozens of kids keen to have a selfie with the strange foreigner! In the forestry town of Weihe, one of their former C2s number SW21054 is displayed with a carriage. The locals we spoke to here included former fitters in the loco maintenance workshop. 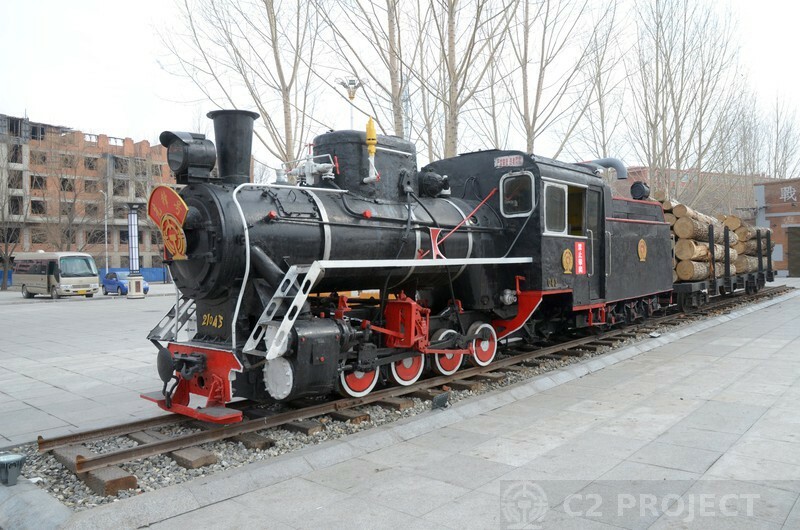 They confirmed that this is a Harbin-built loco. Yabuli was once a forestry town, but its main attraction now is a ski resort! The resort features a new tourist narrow-gauge railway, serving several areas including a safari park. 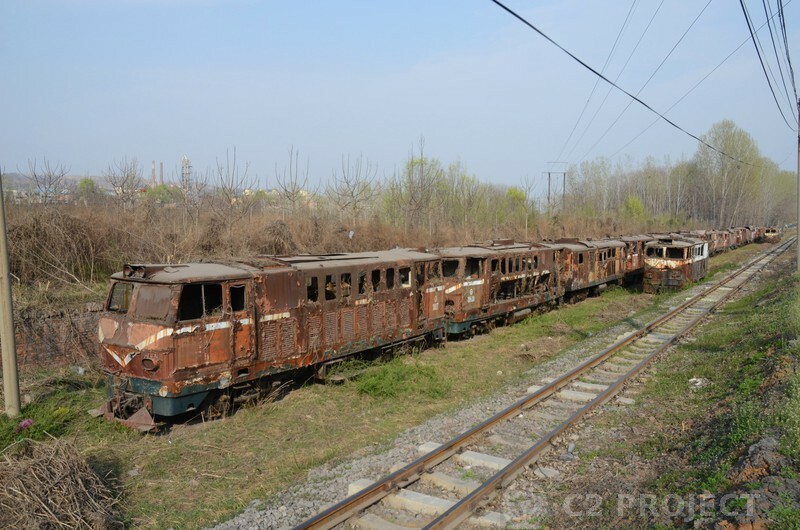 It is not near any of the former forestry railway route, but has inherited some of its rolling stock including loco, carriages and a railcar. This loco has been converted to diesel operation, with the engine in the cab driving a jackshaft under the former firebox. The connecting rod now points backwards to the jackshaft! 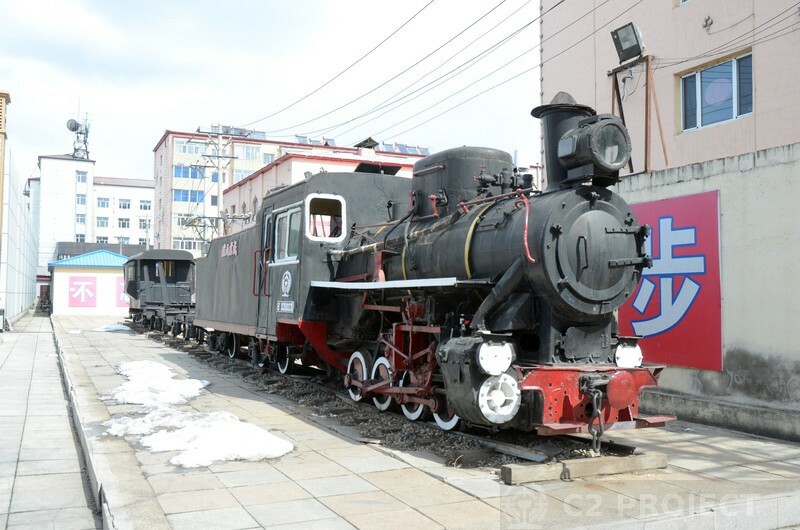 This was the former B*309 at Yabuli forestry railway, and was built at Shijiazhuang. 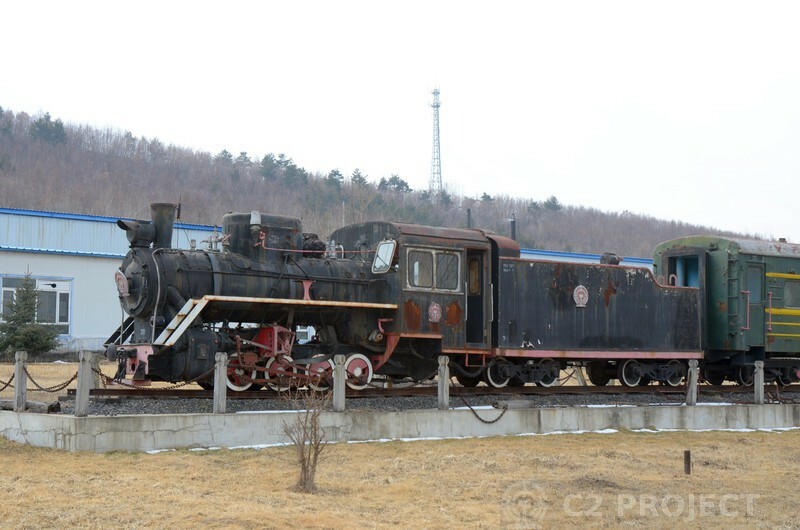 Elsewhere in the Yabuli ski resort area is another C2, with two carriages and a caboose fitted up as a restaurant. This was also a Shijiazhuang-built loco. The Dahalin forestry railway began in the town of Changting, and the former railway station remains in use as a bus terminal. 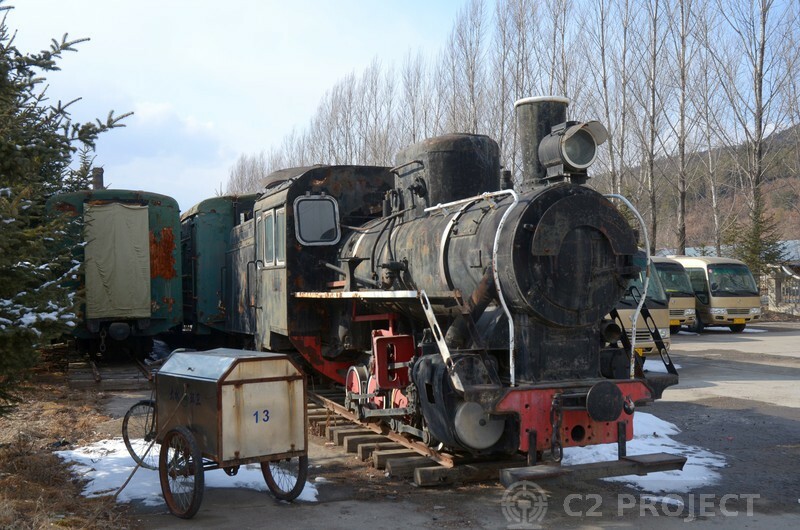 In the back corner of the yard, this C2 is stored with two carriages; they had previously been displayed in a more prominent position. At some late stage in its life, the loco has been converted to diesel propulsion. It has a diesel engine in the tender, driving via a cardan shaft through the firebox to a final drive gearbox on the loco's third axle. 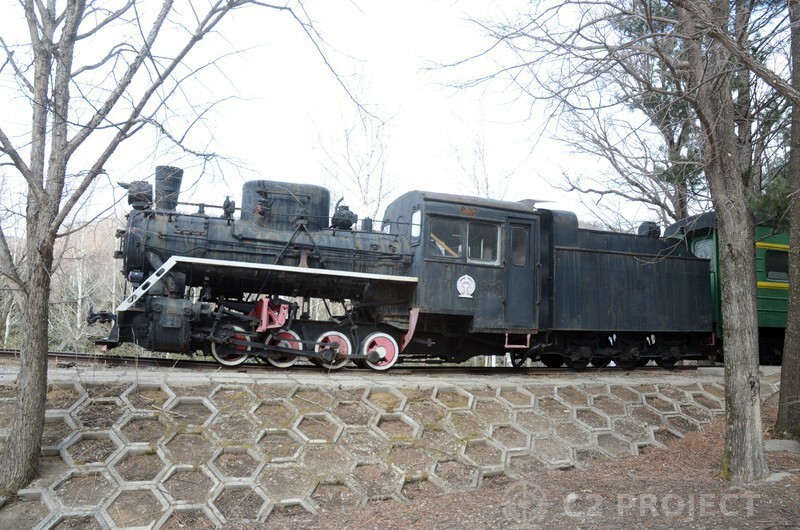 On platform 1 of Mudanjiang railway station is displayed an un-numbered loco from the Chaihe forestry railway. The characteristics suggest it is a Shijiazhuang product from the early 1960s. The loco is visible from the street through a glass fence; to gain access to the platform for a closer look was a real challenge requiring pleading with the booking office and three separate security guards, but we managed it! 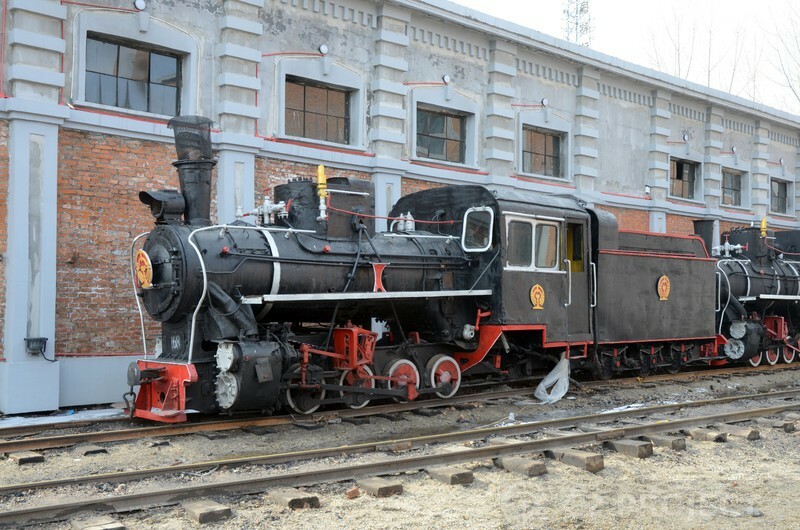 East of Mudanjiang is an industrial area at Modaoshi, where a C2 and a carriage are plinthed within the premises of the former Bosen timber factory. The firm has now closed down and the gates are locked, but it is possible to see the loco over the fence. This was formerly number 30 at the Weihe forestry railway. 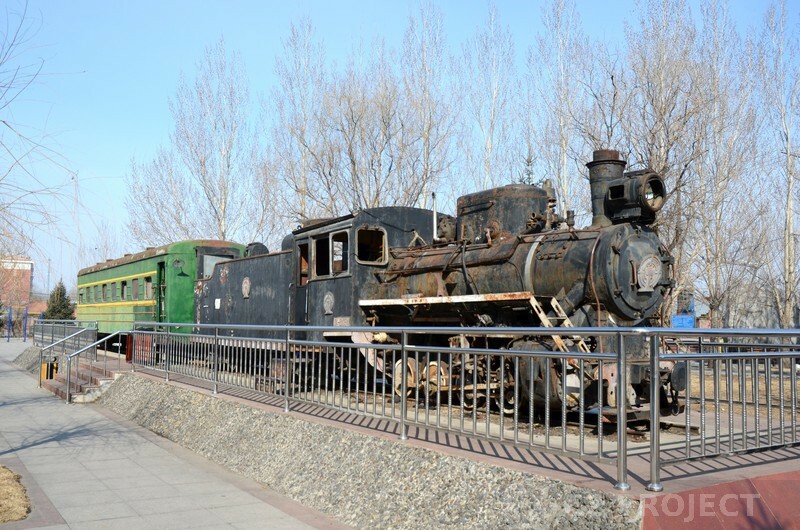 In the former forestry town of Chaihe, one of the squares has a display of forestry equipment, including a short log train. On close inspection it was clear that this loco was a Polish-built KP-4 dating from the late 1950s, and later upgraded. It latterly operated at Shanhetun as their number B*031003. 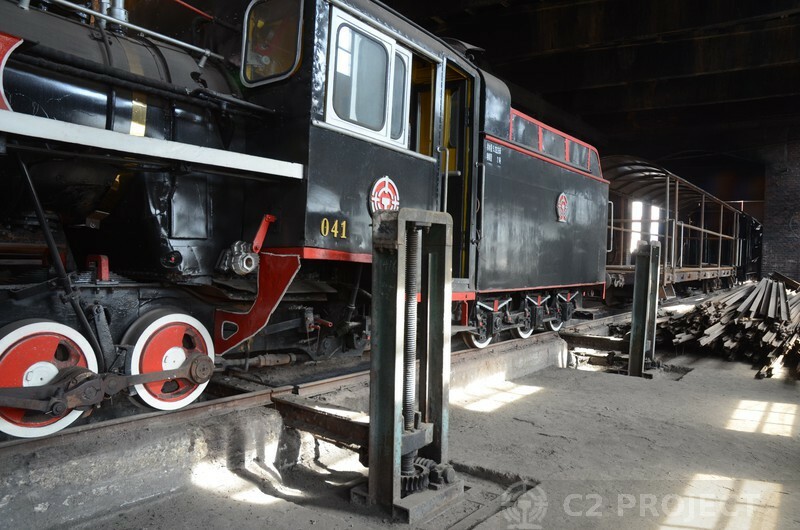 This C2 worked on the little-known Yilan mining railway in Heilongjiang Province, one of 18 in the fleet. 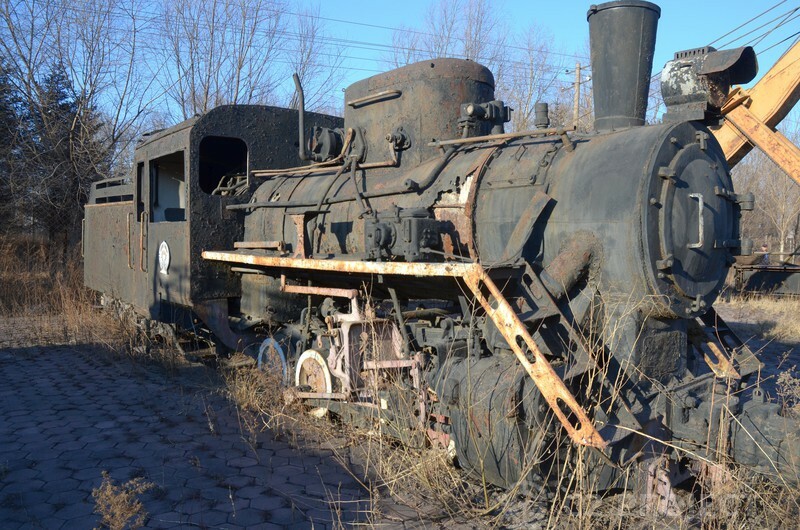 Research has so far failed to find any photos of these locos in service, but one is preserved in a park in Dalianhe, close to the former trackbed. The steam fleet was supplemented with electric locos from 1976, but the entire railway was replaced with road transport in 1993. One of the former electric locos is displayed alongside, together with a selection of other mining equipment. Paul then re-joined the rest of the tour group at Huanan, where we were lucky enough to see steam operation on three days. We also made good friends with the staff and management. Paul's C2-branded clothing proved a wonderful ice-breaker! The narrow-gauge railway at Huanan is now in its third guise. Built in 1952/3 primarily as a forestry line, it also served a coal mine. When the forests were logged out, the forestry bureau continued to use the line to supply loco coal for their other railways, and heating for offices and accommodation. It finally closed in 2010. However, the forestry bureau retained ownership and it has now been re-invented as a tourist line. At present the steam tourist services operate over only 2km of track, but it is possible to go about 6km in the diesel railcar. There are grand plans to extend further, and clearly a lot of money has been invested in the new facilities. The new station building and facilities at Huanan are very impressive. The location is about half-way between the existing Huanan China Rail station, and the new high-speed station under construction, so it is well placed. There are plans to extend the line significantly along the former forestry railway trackbed to a lake about 15km away, and to create a resort there. Note the replicas of 'Rocket of China' and a more familar 'Rocket'. 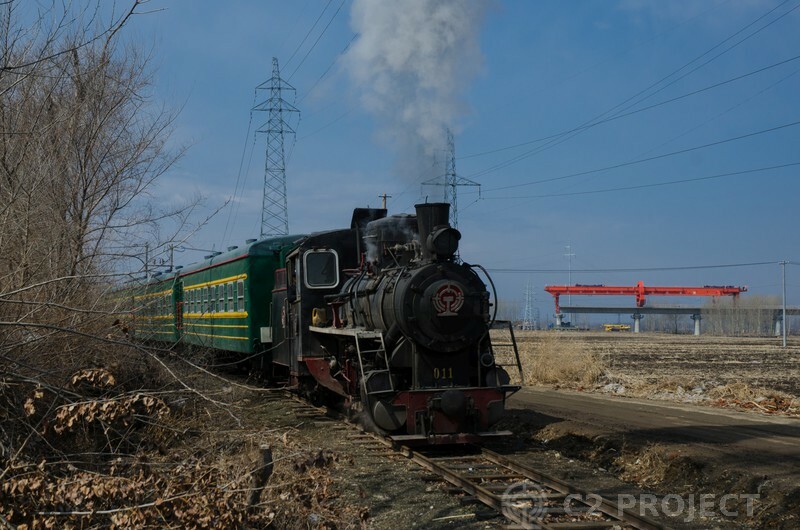 Huanan 011 was in steam at the time of our visit, and is seen here running round its passenger train at the current limit of tourist operations, only 2km from the start. 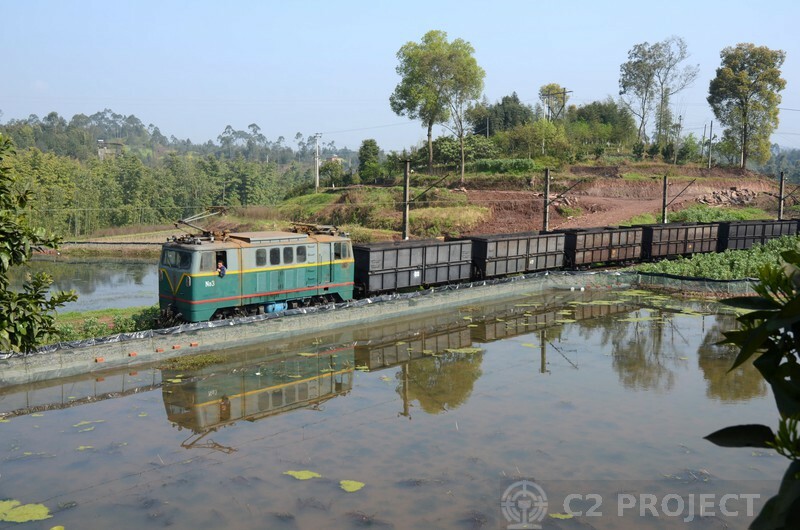 This loco was a later addition to the Huanan fleet, having been transferred from one of the other nearby forestry railways in the 1990s. Huanan 041 was in awkward corner of the shed. 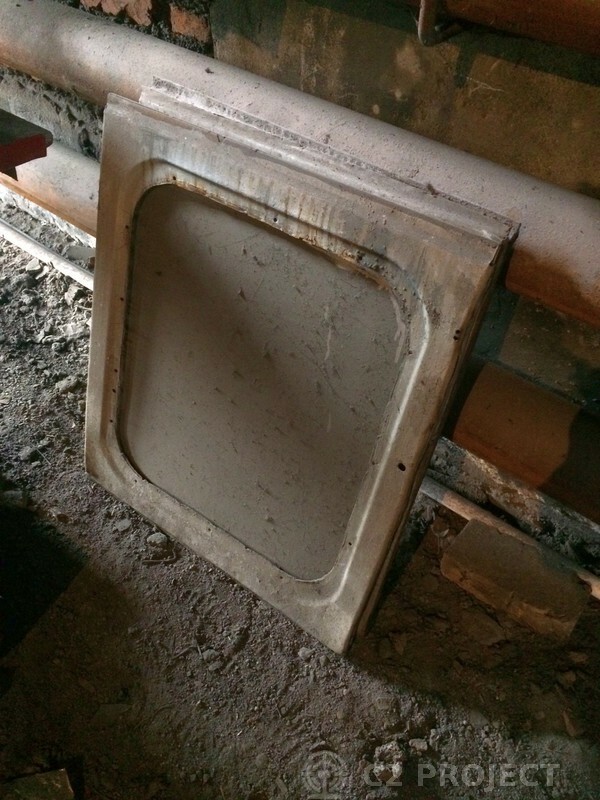 It is basically in operational condition but is awaiting some repairs. In the background a new carriage is under construction, and beyond that is a recently restored caboose. 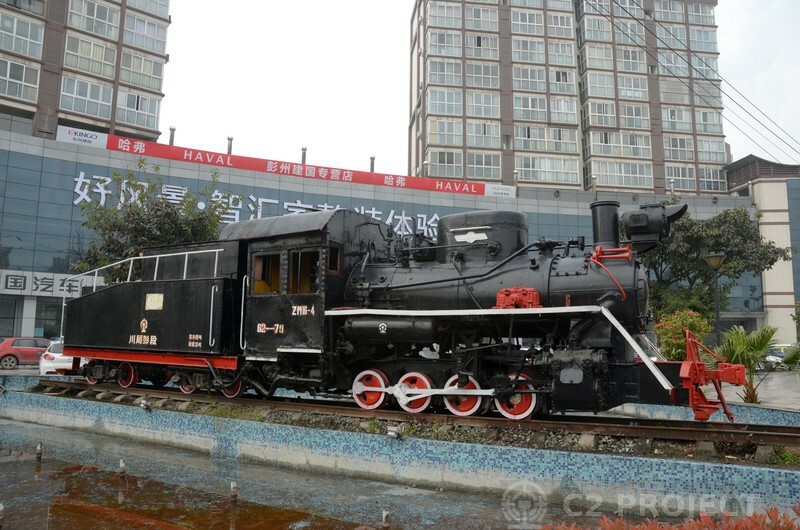 This loco was built at Harbin in 1959 and spent most of its life at Huanan. 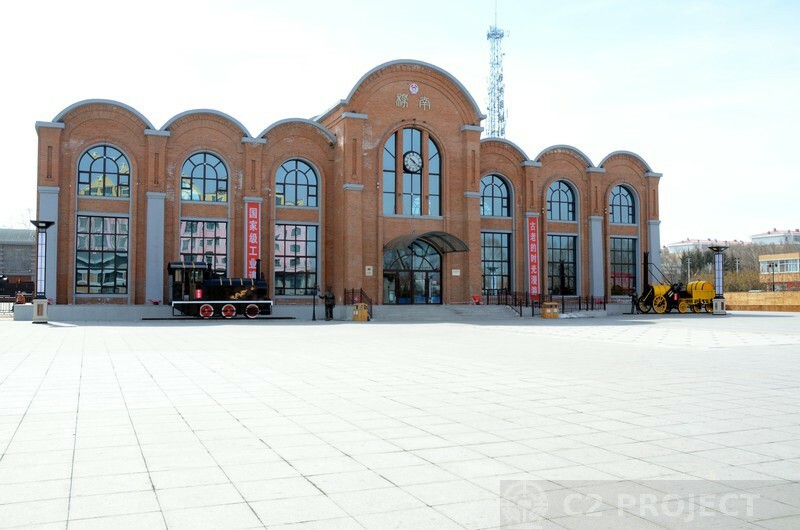 Huanan 21043 is displayed outside the station. 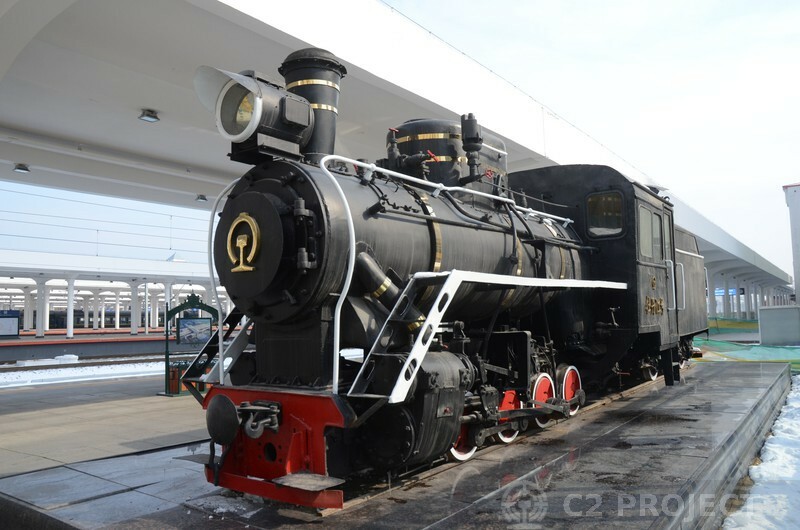 This loco was built at Shijiazhuang in 1959 and spent most of its life at Huanan. It was operational into the early 2000s but has now been relegated to static display. Huanan 044 is displayed between station and the loco shed; it does not currently carry a number but the identity was confirmed by staff. 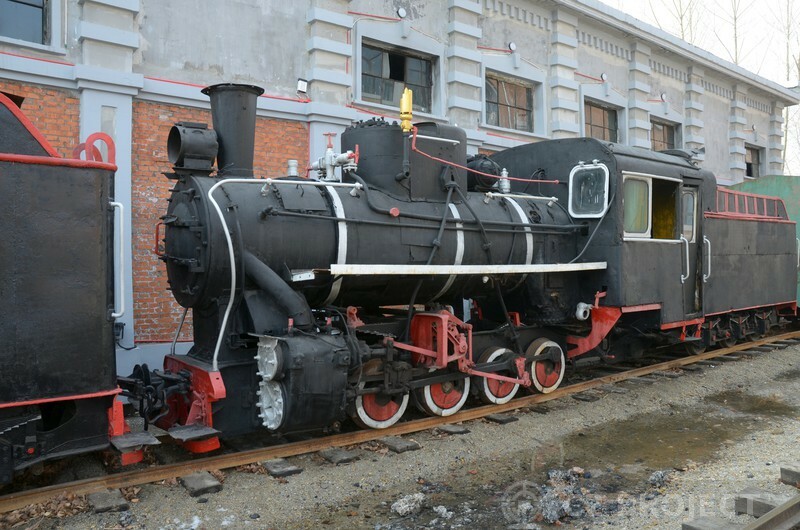 This loco was built at Shijiazhuang in 1964 and spent most of its life at Huanan. It is not operational but perhaps could be restored in the future. Huanan 168 is displayed between station and the loco shed. This loco was a later addition to the Huanan fleet. It is not operational but perhaps could be restored in the future. The future of Chinese high-speed rail? The orange machine in the background is placing viaduct spans on the new CRH high-speed line from Jiamusi to Mudanjiang, approaching the point where it crosses the track of the Huanan forestry railway. C2 011 steams by with a passenger train. Next year there will be another opportunity to pose a working C2 with a CRH high-speed train! (The previous chance was at Xingyang brickworks railway, just before that line closed). 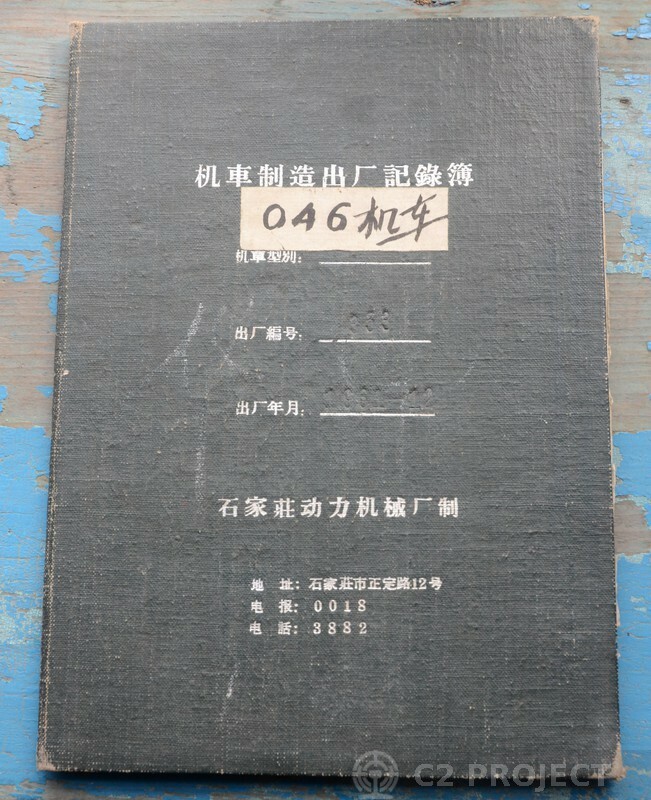 This is a loco record book for a Shijiazhuang-built 28t loco, works number 353 of December 1961. On the Huanan forestry railway it was running number B*021046. Just that information adds usefully to our research in several ways, but the contents of this book and others seen and photographed at Huanan are even more useful! Stacked in a corner of the Huanan loco shed, Paul spotted some spare cabside windows. We need some of those! They're a bit battered, but Paul was able to buy them and bring them home on the plane, and has a plan for restoring them to their former glory for our own C2. The three C2 cab windows, having safely arrived at Manchester airport. Paul will be back in Wales over Easter to make more progress on our own C2, with the rest of the group.